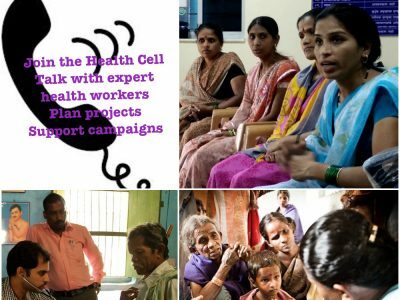 If you are interested in peoples Health issues and malnutrition/hunger in India, you can consider joining the Health cell. We meet once every 2 months and more often when needed over a telephonic conference call. We learn about current issues from movements and NGOs in India and organize solidarity actions. We visit projects focused on Health and also based on our knowledge recommend initiatives that AID could start or support. We help set and meet fundraising targets. We also aim to organize 2-4 google hangouts and talks with social workers and activists who work on Health issues every year. Please fill the “Volunteer for Health” form.